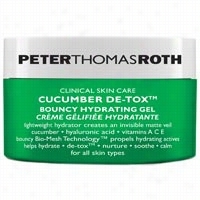 Peter Thomas Roth Cucumber DeTox Bouncy Hydrating Gel 1.7 oz. This lightweight, oil-free moisturizer with a unique texture forms an invisible matte veil over skin. Innovative bouncy Bio-Mesh Technologyâ¢ propels delivery of moisturizing actives and prevents water loss. Cucumber extract helps hydrate, de-tox, soothe and calm skin. Hyaluronic Acid hydrates skin by attracting up to 1,000 times its weight in water from the moisture in the air. Anti-oxidant vitamins C and E combine with vitamin A in a nurturing complex that helps protect against free-radical attack. The Gel instantly absorbs into skin, infusing it with potent anti-oxidants and hydrating actives that maintain optimal hydration levels throughout the day. 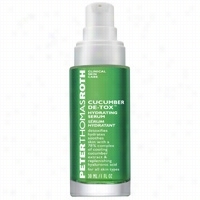 Peter Thomas Roth Cucumber DeTox Hydrating Serum 1 oz. Detoxifies, hydrates, and soothes skin with a 78% complex of cooling cucumber extract and replenishing hyaluronic acid. For all skin types.Detoxifying, hydrating and soothing Serum with a 78% ultra-concentrated complex of refreshing Cucumber Extract and Hyaluronic Acid that restores optimal moisture levels and helps minimize the look of fine lines. Cucumber Extract detoxifies irritants and soothes skin. Hyaluronic Acid hydrates skin by attracting up to 1000 times its weight in water from the moisture in the air. Leaves skin feeling silky soft, radiant, supple and hydrated. Source Naturals Detoxification - Chela Detox - 60 Tablets. Heavy metals such as lead and mercury are increasingly found in our air&sbquo; food&sbquo; and water. 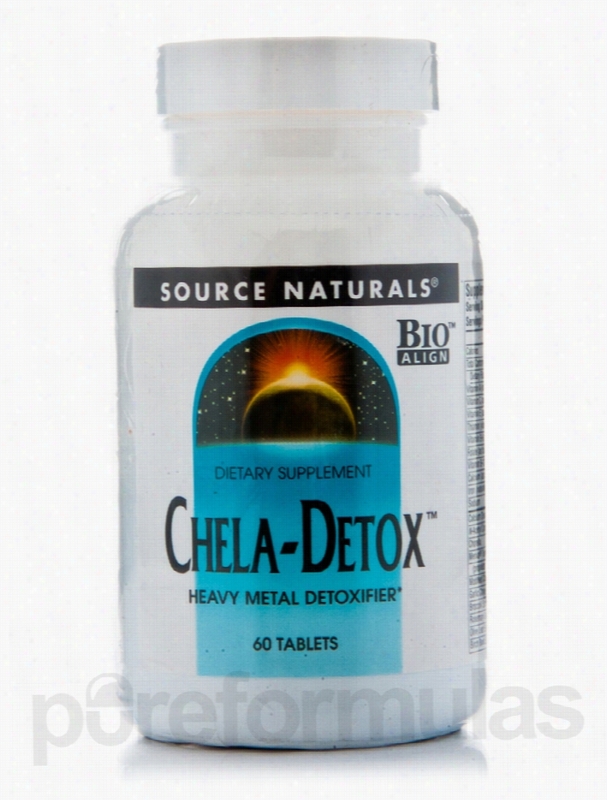 Support the clearance of heavy metals from your Body with Chela-Detox&trade;. Chela-Detox is a BioAligned&trade; formula&sbquo; that contains a complex array of targeted&sbquo; effective ingredients - including EDTA - that have been shown in published scientific studies to promote the excretion of heavy metals from the body and to support the liver's ability to eliminate many other toxins.Meriva&reg; is a registered trademark of Indena S.p.A.&sbquo; Milan. These statements have not been evaluated by the Food and Drug Administration (FDA). These products are not meant to diagnoseÃ¢ÂÂ treat or cure any disease or medical condition. Please consult your doctor before starting any exercise or nutritional supplement program or before using these or any product during pregnancy or if you have a serious medical condition. 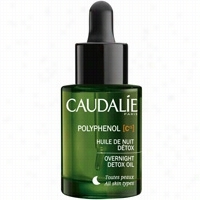 Caudalie Polyphenol C15 Overnight Detox Oil 1 oz. A 100% plant-based Oil that helps to renew and protects your over-tired skin while you sleep. This dry and lightweight oil is a 100% plant-based formula exceptionally effectives on cell renewal and toxin elimination. Free-radicals and dead cells are eliminated during the night when cells are most efficient at healing.Dermatologist tested, fragrance-free, preservative-free, all skin types.Detoxified skin: 86% - Recharged skin: 100% - Skin recovering more easily: 100% - Smoother skin : 95% - Adapted for my skin type: 100%**Clinical test: 28 days, 21 volunteers, 1 application per day, every night. 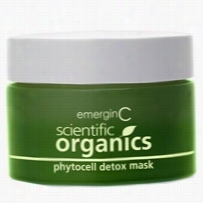 EmerginC Scientific Organics Phytocell Detox Mask 1.69 oz. This French green clay based mask, with Seaweed, Grape Stem Cells and a wide variety of plant extracts, is designed to draw out environmental impurities, nourish, brighten, soothe and improve tone and texture.Benefits:Leaves skin bright, healthy and detoxified with a radiant glow.Glycerin helps skin retain moisture and prevents dryness.Seaweed helps to promote cellular metabolism, rebalance and re-mineralize the skin.Sea Starwort Oil calms irritated skin, reduces redness and blotchiness. 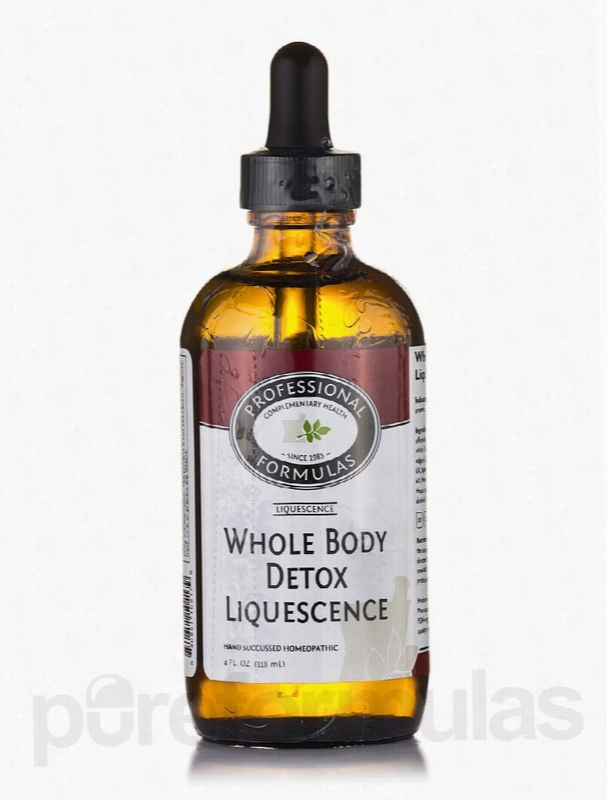 Professional Formulas Detoxification - Whole Body Detox Liquescence -. Provides homeopathic tonification of the organ systems and promotes drainage of the excretory pathways. These statements have not been evaluated by the Food and Drug Administration (FDA). These Products are not meant to diagnoseÃ¢ÂÂ treat or cure any disease or medical condition. Please consult your doctor before starting any exercise or nutritional supplement program or before using these or any product during pregnancy or if you have a serious medical condition. 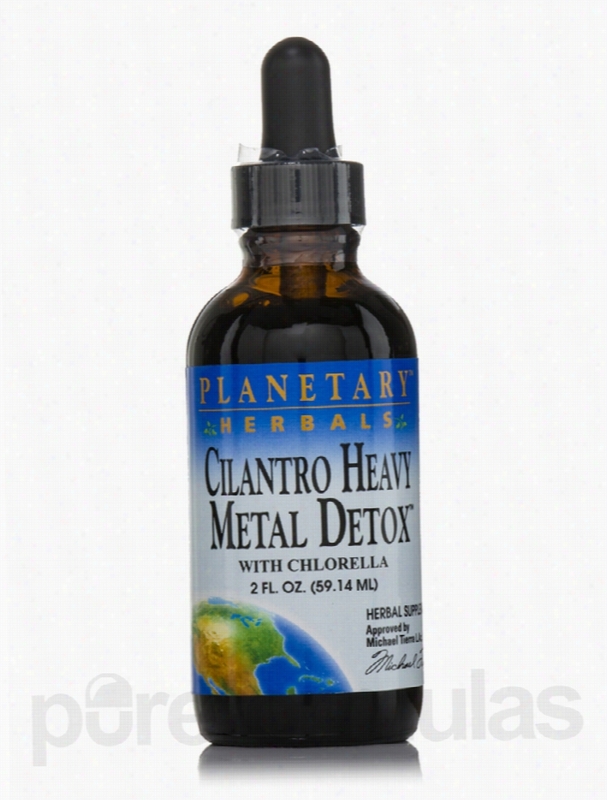 Planetary Herbals Cellular Support - Cilantro Heavy Metal Detox - 2. 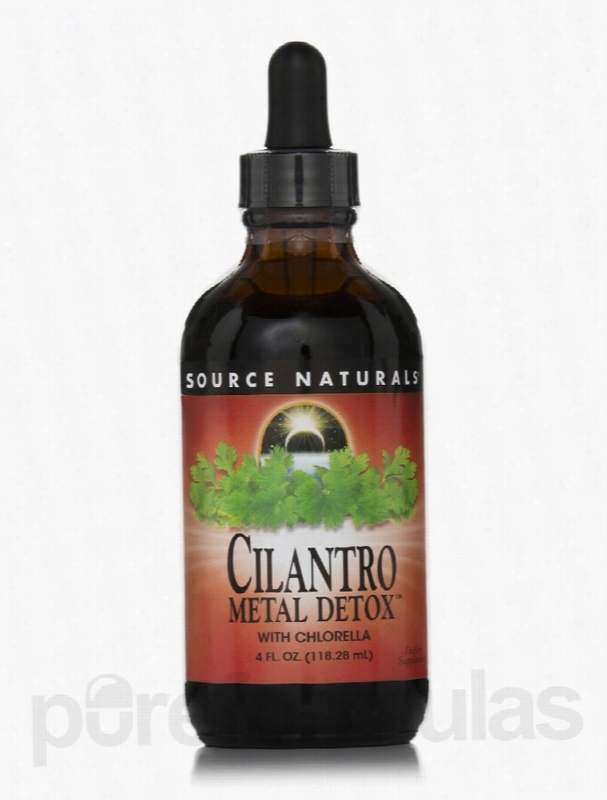 Cilantro Heavy Metal Detox&trade; is designed to bind to heavy metals to clear them from the body. The combination of cilantro and chlorella elicits a potent cleansing action and provides antioxidant support for overall cellular Health.Product Highlights:1) Herbal chelating function of cilantro cleanses the system of metals.2) Cilantro and chlorella work synergistically&sbquo; increasing effectiveness.3) Clorella helps clear toxins from the body. These statements have not been evaluated by the Food and Drug Administration (FDA). These products are not meant to diagnoseÃ¢ÂÂ treat or cure any disease or medical condition. Please consult your doctor before starting any exercise or nutritional supplement program or before using these or any product during pregnancy or if you have a serious medical condition. 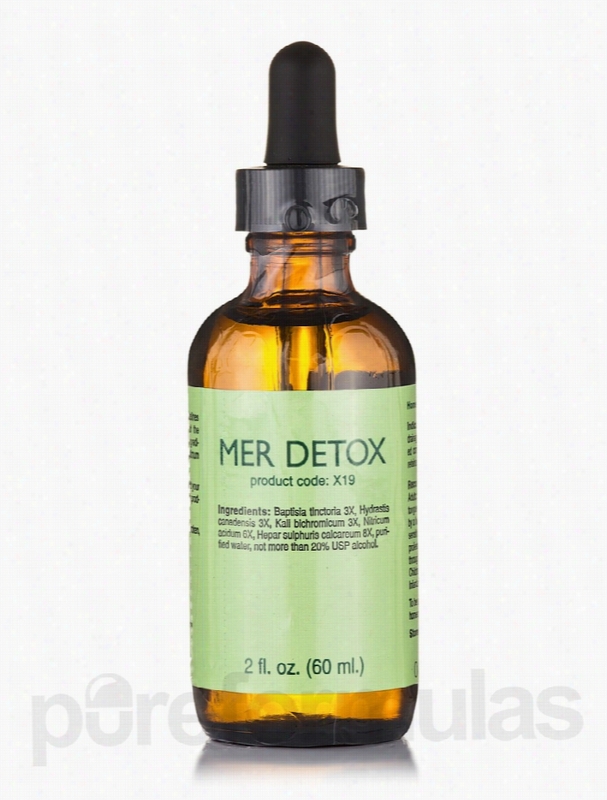 Professional Formulas Detoxification - Mer Detox - 2 fl. oz (60 ml). Homeopathic support to assist in drainage and detoxification of mercury and related compounds (intended for individuals with retained amalgams). These statements have not been evaluated by the Food and Drug Administration (FDA). These Products are not meant to diagnoseÃ¢ÂÂ treat or cure any disease or medical condition. Please consult your doctor before starting any exercise or nutritional supplement program or before using these or any product during pregnancy or if you have a serious medical condition. Source Naturals Cellular Support - Cilantro Metal Detox - 4 fl. oz. Cilantro Metal Detox&trade; is a safe&sbquo; natural defense against today's environmental toxins. It is a potent&sbquo; whole-body herbal cleansing formula that binds to heavy metals&sbquo; helping to clear them from the body. Chlorella&sbquo; a one-celled algae&sbquo; is added to increase the chelating and cleansing actions of the herb cilantro. This combination also provides effective antioxidant support for overall cell health. These statements have not been evaluated by the Food and Drug Administration (FDA). These Products are not meant to diagnoseÃ¢ÂÂ treat or cure any disease or medical condition. Please consult your doctor before starting any exercise or nutritional supplement program or before using these or any product during pregnancy or if you have a serious medical condition. 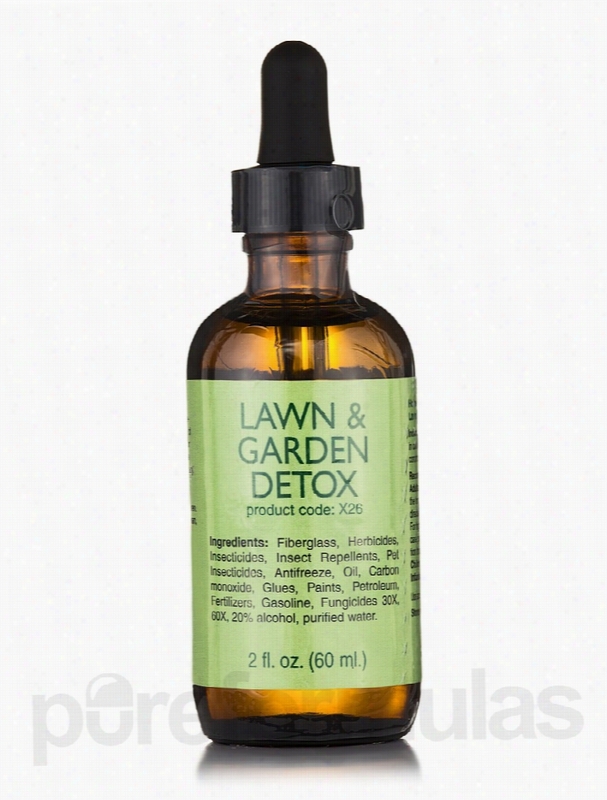 Professional Formulas Detoxification - Lawn And Garden Detox - 2 fl..
Homeopathic support to assist in detoxification of and desensitization to common lawn and garden chemical toxins. These statements have not been evaluated by the Food and Drug Administration (FDA). These Products are not meant to diagnoseÃ¢ÂÂ treat or cure any disease or medical condition. Please consult your doctor before starting any exercise or nutritional supplement program or before using these or any product during pregnancy or if you have a serious medical condition.